What happens if a US soldier gets killed in Mindanao by rebel attack? I hope the Americans won't use it as an excuse for US army in the region to launch an offensive on Philippine territory. It's really funny how then Philippine military tries but failed to hide the news from the local media. While this report has been confirmed by the Guam Army National Guard and all over television and radio in Guam, the Armed Forces of the Philippines still denied it. Wonder how the Filipino media are coping with this embargo? Watched the deniel on the Filipino Channel. Anyway, these are some of the links of the reports from Guam! 5.KUAM.com - On-Air. Online. On Demand. 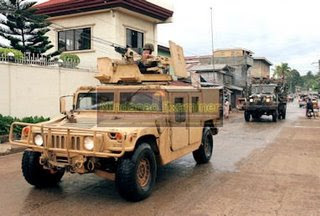 I thought the US Army's presence in Mindanao is for training or humanitarian reason? Does this mean that foreign forces are now on offesive operations in Mindanao? If so, isn't that a violation of the RP Constitution? Why should the AFP hide the news about the attack on a contingent that includes Guam Natl Guard? Is there something in this that the govt press arm is trying to hide from Filipinos? 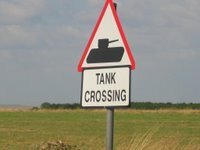 Philippine officials say the US troops are prohibited from joining combat ops, but who would know?